What I liked best about Girls in the beginning wasn’t the subject matter or the setting, it wasn’t the horror of its comedy or the humor of its drama. And it certainly wasn’t the opportunity to lose myself in the dense, terrifying forest of think pieces that sprung up in the show’s wake. What I liked best about Girls when it premiered just shy of two years ago was its possibility. Most comedies begin with a set, circumscribed location — a bar in Boston, a city hall in Indiana, the dark recesses of Seth MacFarlane’s id — and populate it with a neatly curated set of lovably mismatched goofballs. Girls, in contrast, took four highly idiosyncratic young people and dropped them into an amorphous blank slate. If you can put your frustrations about representations of diversity aside (and feel free to refuse! ), what was exhilarating about the Girls New York City was that it pulsed the way it does in real life for all new arrivals; not one city, many cities. No, that’s not right, either: any city. The best episodes of Girls‘s first seasons treated Hannah and her laptop like Harold and his infamous purple crayon: drawing and redrawing reality until the only lines she wasn’t tripping over were the ones she’d already crossed. It was thrilling to watch a show that could be anything at any time, from the anarchic crack farce of the Bushwick loft party to the wistful, otherworldly mini-movie that was last year’s (unjustly!) divisive “One Man’s Trash.” Sometimes Girls could also be bad — not “Jessa in Marrakesh” bad, but bad bad. But this, too, was part of the charm. TV shows, like humans, need room to grow and the ability to make their own mistakes. And it’s true that most successful series are, to varying degrees, about change; even Breaking Bad, the most infamously volatile show in television history, started its chemical reaction with a few established constants: Walter White’s family, for example, his relationships with work and with himself. Compare that to the messy beginning of Girls, where it was never quite clear how these people knew each other, why they knew each other, or if any of them would ever see each other again. 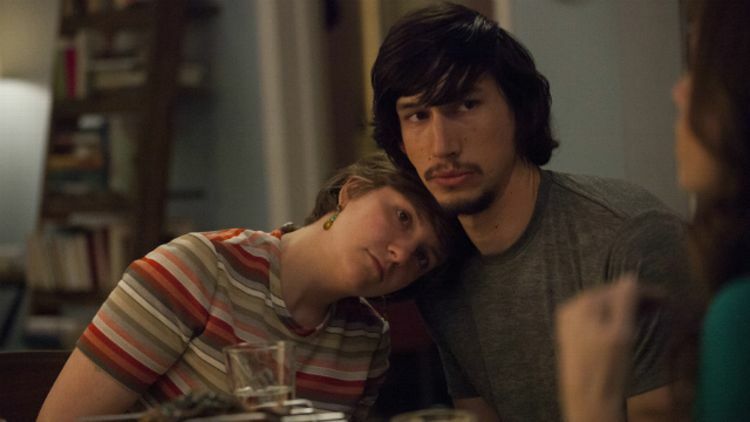 Even with Lena Dunham’s sure hand as a writer and director, the whole thing felt as stable as wearing roller skates on the G train, and I loved it for that. Girls returns for a third season this Sunday night with two new episodes airing after the premiere of True Detective. (Don’t get me started on how weird a pairing this is. Transitioning from the most macho show on television to what is perhaps the least is likely to give you hormonal whiplash.) And, without giving too much away, for the first time the show feels like … a TV show. This isn’t to say the subject matter isn’t racy or shocking or, as is the case with the surprising Jessa plotline, a head-spinning mix of infuriating and fascinating. It’s just that these episodes felt suddenly smaller, more limited. Because instead of being about these characters interacting with the larger world, Girls is suddenly about these characters interacting with each other. This isn’t necessarily a bad thing. It’s just different. I found the season premiere, the Dunham-scripted “Females Only,” to be oddly discordant and lacking — Amy Schumer is a great and funny performer whose arrival midway to do very Amy Schumer things took me right out of the moment. Yet the second episode, written by co-showrunner Jenni Konner, is consistently hilarious: It’s the best sort of comedy, one that mines real laughs out of preexisting relationships merely by shuffling the deck and ramping up the intimacy. (Again, not to give anything away, but rest assured a road trip involving the slow-burning Adam and the fast-bubbling Shoshanna goes about as well as anyone might expect.) It’s very, very good in a way that feels very, very familiar. Here’s the thing: Even though it’s on HBO and is written about by many (including me!) in the highest artistic terms possible, Girls is still a TV show, which also means it isn’t rocket science: Long-running series get that way due to the relationships and interactions between the leads. Despite my wishes, Girls isn’t the scripted version of a travel show like Parts Unknown, in which every installment introduces us to a new way of looking at the world and our occasionally unlikable protagonist. Instead, Girls is transitioning into what it was always en route to becoming: a sitcom, though one of a more interesting and more experimental order. The events of past seasons did happen: Hannah has a boyfriend now, and the beginnings of a writing career. Marnie remains headed in the other direction (though now burdened more than ever by her shrill mother, played well but perhaps unnecessarily by Rita Wilson). Ray is sarcastic. Jessa, free-spirited. We know these people now, which breeds comfort, but Girls has traditionally been at its best when it pushes back. Lena Dunham got a lot of grief over the universal presumption of the title when the show launched (actually, she got a lot of grief over everything), but I always liked it. Girls was so simple, so wide-open; it suggested that the characters, like the show itself, could be anyone, that they eventually could become just about anything. Now the series could be more accurately titled These Girls. There are 10 episodes left in this extended season, meaning there’s still plenty of time for the show to frustrate, challenge, and amaze as it has in the past. But there’s also a chance that Girls, like Hannah, has found its voice and that it doesn’t speak for “a generation” or anything quite so presumptuous, that it merely speaks for itself. Still, I hope it’s still occasionally plucky enough to try.